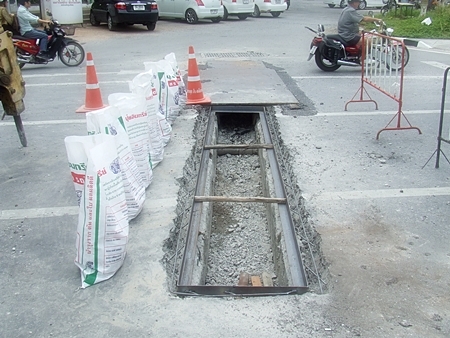 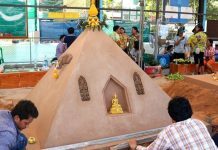 The Pattaya Engineering Department administered some first aid to the Jomtien Beach curve, leveling the pavement so it aligns correctly with sewage-drain covers. 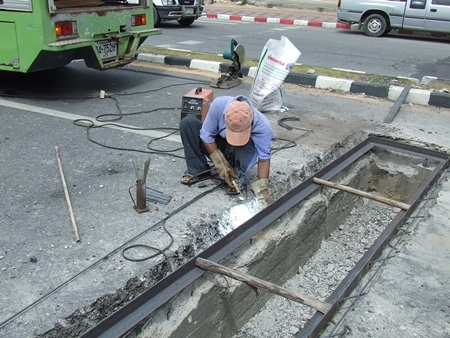 A truckload of workers dug up the drain area July 6, poured new concrete and sunk the lid in so it was flush with the road’s surface. 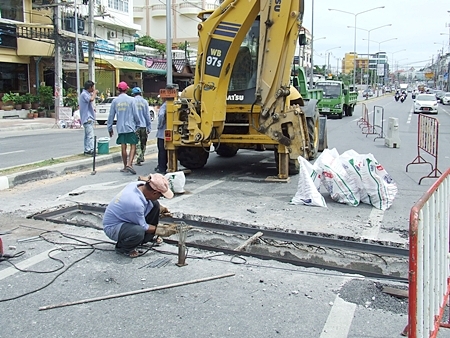 The repairs are hoped to reduce the risk of accidents on the busy street. 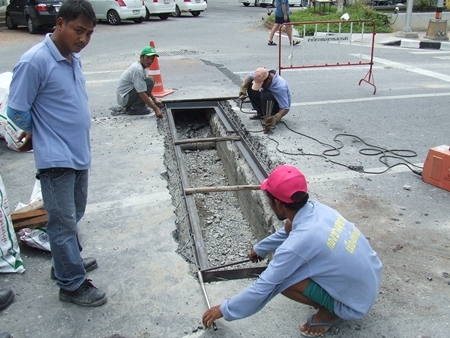 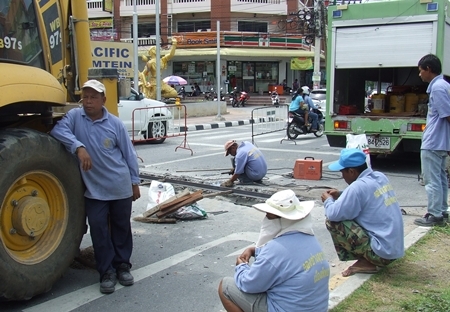 Workers from Pattaya’s Engineering Department repair the sunken drain in Jomtien.